At atelier AU PIED DE L'ARCENCIEL, we welcome customers who are in search of unique jewelry that they have never seen elsewhere. 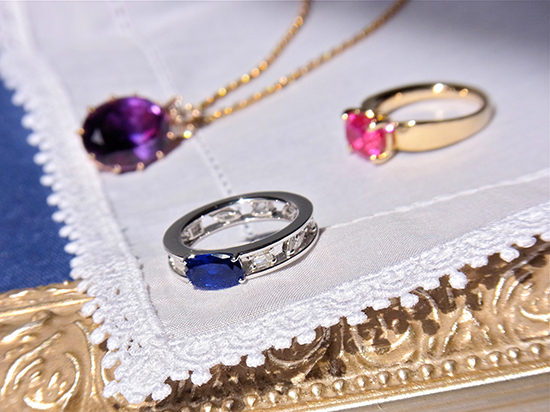 Unfortunately, you cannot see such special pieces at the atelier as they are made to order for each person. Each piece of jewelry exists only in the hands of our clients… the pleasure of having haute couture jewelry made just for you. Awake your heritage - reviving your gems. The shape of LOVE – symbolizing happy moments of lovers. 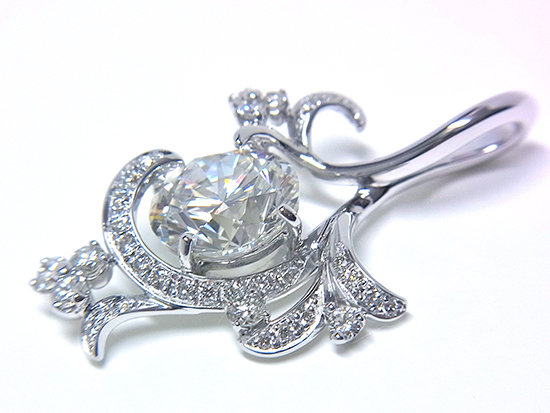 Awake your heritage - Pendant top K18WG, diamond. Awake your heritage - the private collection of Madame "S" . 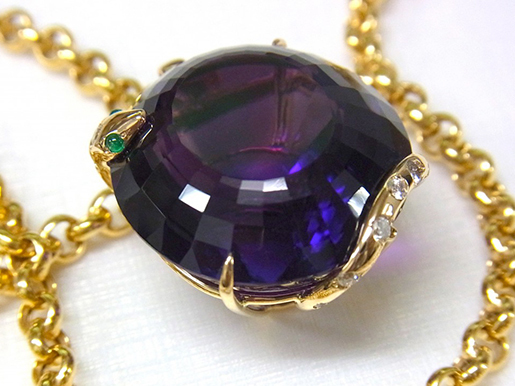 Awake your heritage - Pendant K18YG, amethyst, emerald, diamond. 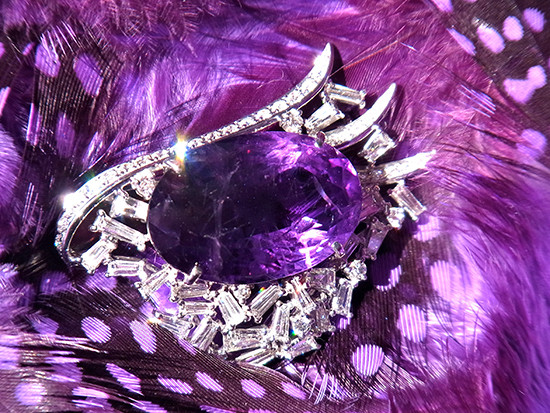 Awake your heritage - Brooch "l'aile de Nuit". for Madame "M". 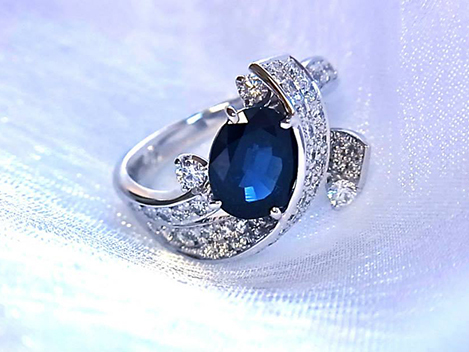 Awake your heritage -Sapphire & diamond ring for Madame "M".